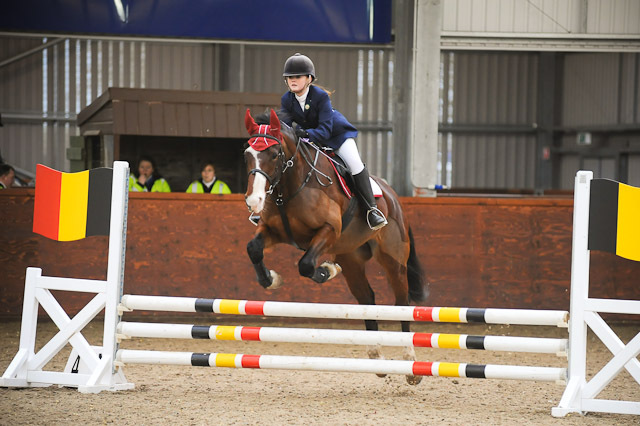 Another Linlithgow & Stirlingshire Pony Club event at the Scottish National Equestrian Centre (SNEC) at Oatridge College. It was a pretty full-on day – show jumping classes started at 8.30am, and we were still takings photographs for the last one at 9pm, with the snow falling deep and thick and even outside. But it was a great event – lots of teams in every class, all having a lot of fun. The course-builders were very helpful in giving us good positions to get the best showjumping photos possible. It was a long hard day but we came out with almost 1500 quality photos to go on the website, and orders are now pouring in so it was well worth it. You are currently browsing the Adventure Art Event Photography blog archives for February, 2009.